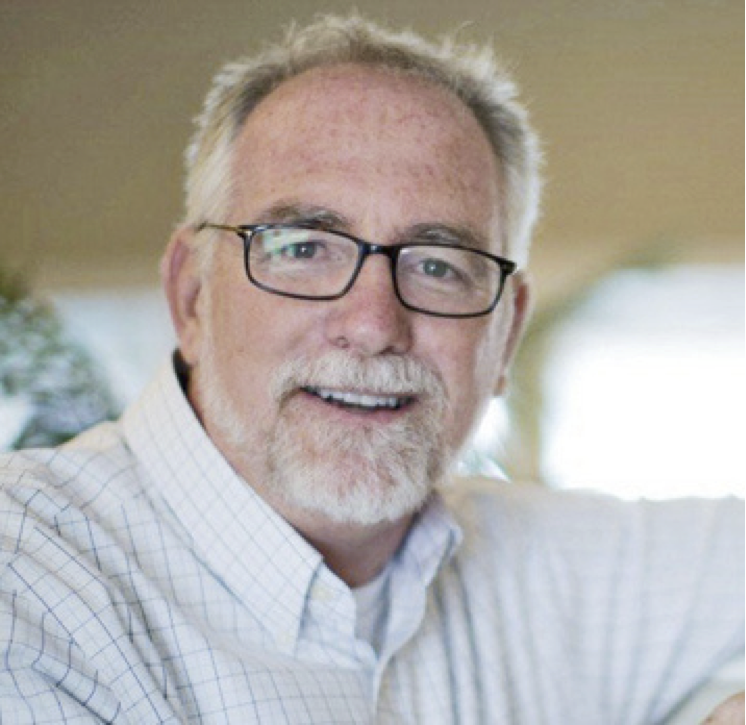 So listening to Steve Brown’s radio program a bit back: http://stevebrownetc.com/, I heard an interview with Bob Goff. Bob’s a good man with a big heart and a nice story teller to boot. He’s even spoken at our chapel at George Fox. So, I picked up his book “Love Does,” and thought I’d give it a go. • A great book to get teens or college kids about the possibility of what one can be and do when the follow Jesus. The book has a very optimistic flair, and has a nice “wow” factor with some of the things Bob has done for the love of God and people. His children’s letter writing campaign was wonderful, as well as others. The chapters are nice little devotional pieces that one could choose to read daily, for an inspirational punch in the arm. • Bob’s chapters are formulaic after a while: Summary quote + interesting story + witty observations sprinkled throughout = a story that is used for Biblical point or analogy to apply to life. As time went on I found the pattern distracting. • It’s impressive Bob gives his phone number at the end of book, but in a world of Facebook and many friendships that are 2″ thick, it gave me pause. Part of being a love that “does” is knowing proper boundaries and not over committing so you can still say “yes” to those you have committed yourself to at prior times. Saying “yes” to something is often saying “no” to something or someone you’ve already committed to. • Although there was a “can do” attitude with his stories, some involved having enough money, power, or influence, to achieve the goals spoken of, something not all of us have. Bob Goff’s a good storyteller, but, I wonder in part if his book is a product of what Christian publishers are willing to publish. • Some of the analogies seem a bit of a stretch. One of which involved a father overseeing his child as he shoots a gun off in the house. Rather than seeing the obvious metaphor of a parents lack of wisdom costing the child something, Bob makes the spanning leap to an analogy that “God picks us up and cares for us when we make mistakes,” which if we are to really examine the story, that would mean that God also gives loaded guns indoors to children who don’t know how to properly operate them. My, what does that mean spiritually? • Lastly: Show me the gravel Bob! The real dilemma I found with the book was that although Bob lightly skims talking about “bad choices he’s made,” and the like, he never names them or really talks frankly about the pain, the ugly, and mistakes we or he has made in life. As a result, I found the book came across as idealistic, guarded, shallow, and a Disney-like narrative. If your life is like mine and you found it hasn’t fit into the Disney-like formulas, you will conclude like I did that this book is written for someone else. Much of life is about dealing with sin, or the sin of others, and choosing to love even at our darkest of times. That’s what love does. And so, I stopped about 2/3 way through, skipped to the conclusion, and left the book at a Christian campground in Indiana. Perhaps some teen will find it inspirational, which would be a very good use for it. Time and experience will be the difficult teacher for them on the other side of the coin of what it is to walk by faith. 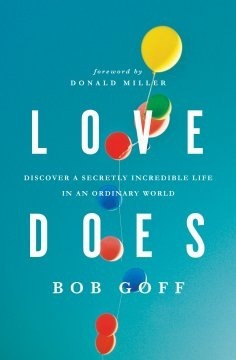 This entry was posted in Faith Walk and tagged Bob Goff, Love Does, Love Does book, review of Bob Goff's book. Bookmark the permalink. I’m not familiar with the book, or the author, and I can see that he probably didn’t extend his metaphor enough. But if I think about it, there are lots of loaded guns lying around that God at least didn’t put away, even if he didn’t actually put them in our hands. Isn’t there a song about love being a gun, btw? I can say I’ve read the book, I loved it, and it did inspire me, and I am 19. However, to disregard it just because it is inspiring is a little off for me. Think of how formulaic all the memoirs about how people did drugs and found jesus and turned their lives can get. And God most certainly did give us a loaded gun–free will. In the end, Bob writes a book about a better kind of love and a better kind of life that not only he, but Jesus is inviting us to. He shows that love does not require money or power several times, how even Ugandan children can show love to kids without dads in Oregon, and how all you need is to get rid of your agenda and be a sincere friend. I think the kind of love laid out by Bob in this book is the kind that leads to a bigger world yet, and I would offer to send you my copy if you ever want to finish it. Awesome- I appreciate you’re thoughtful reply to my comments. Perhaps I can sometimes get a little cynical and need a little levity. Thanks for providing that.